The WhiteChain team has many years of experience in the E-commerce market, as well as in cryptocurrencies. We have the experience and knowledge to come through on our promises. We believe a cryptocurrency developed by crypto-enthusiasts for crypto-enthusiasts could change the current e-commerce market for the better. Just like traditional investments, cryptocurrency projects are quickly dominated by a handful of big investors who buy up huge chunks of the currency. The result is them having a disproportionate influence on price, while we regular investors quickly lose interest in the rest of the project. So, as crypto-enthusiasts, why do we continue to invest in projects or communities over which we have no influence? What if there were more than one way to “buy” into a new crypto-community? Investors usually buy into a project with their money. But what if we asked you to buy into our new token with time? After all, at WhiteChain , we all agree that time is much more precious than money. By valuing your time over your buying power, we plan to build a new cryptocurrency backed by a buzzing community. Rather than building another currency that is dominated by investors with fat wallets, we want to give all the members in our crypto space an equal chance to an equal share of our currency. The Waves standard makes it easier for all compatible tokens to be natively supported by new projects and services on the Waves platform. WhiteChain Token Is Built on Waves Blockchain meaning that it Is 100% Decentralized and Private. 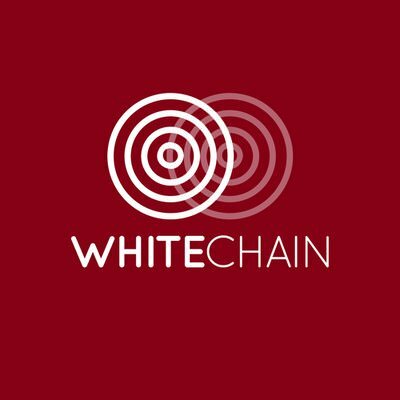 WhiteChain uses Waves standards. WhiteChain Blockchain Guarantees Transparency and Anonymity. We are Targeting a Minimum of 10,000 Users connecting to the project in it's Pre-State and a maximum of 50,000 Members joining the Project. WhiteChain reserves the Right to Ban anyone from the Project if found involved in Unusual Activities. The Bitcoin blockchain can only process 7 Transactions per Second and takes huge fee of around $10-50 Per transaction. WhiteChain Has Capability of processing 3,500 Transactions per second. The Transfer of money is done instantly with WhiteChain Token. It only takes a few cents to send a WhiteChain Transaction. Token Sale & ICO : Round 1, price : $0.03 , 25% bonus! This is a opportunity for all of you to earn Many WhiteChain Tokens for free by doing simple tasks! This is a Bounty campaign and will last a few weeks. 3) Instagram Post - Rewards below. 8) Make a Song For WhiteChain! Include Waves Wallet Address. Send to [email protected] (500 WTCT). 9) Make Telegram Stickers for WhiteChain! Include Waves Wallet Address. Send to [email protected] (40 WTCT per Sticker). More Bounties to be added soon! Stay Tuned!